There are 44 early years centres across the province. Early years centres provide early learning and child care for Island children, supporting the development of social, emotional, physical and cognitive skills which will lay the foundation for future academic success. Government supports early years centres through yearly grants to offset salaries and expenses, covering approximately 40 per cent of operating costs of each early years centre. “Nearly 2000 children are enrolled in early years centres, so this investment directly impacts Island families across the province," said Early Childhood Development Association of PEI Executive Director Sonya Hooper. "Early childhood educators are the cornerstone to quality early learning experiences for Island children. They establish the building blocks for children to learn skills for life." 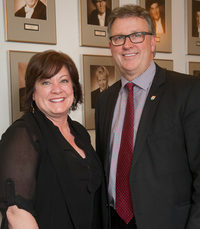 The Government of Prince Edward Island will be working collaboratively with provinces and territories and the federal government to develop a National Framework on Early Learning and Child Care, in order to share Prince Edward Island success stories and pursue continued improvements to early learning and child care for Island children. Phase 2 of the PEI Preschool Excellence Initiative will start soon. An Early Learning and Child Care Advisory Committee will be making recommendations on the future direction of early learning and child care in the province. In 2010, as part of the PEI Preschool Excellence Initiative, government introduced an option for licensed childcare centres to become Early Years Centres (EYCs). EYCs are jointly funded by government and by parent fees. Parent fees are regulated and are competitive with other provinces and have not increased since 2014. This wage increase will not affect parent fees or childcare subsidies. EYCs must meet certain requirements including providing infant care, care for children with special needs, charging set parent fees, and paying employees according to a wage grid. This is the first increase to the wage grid since 2010.